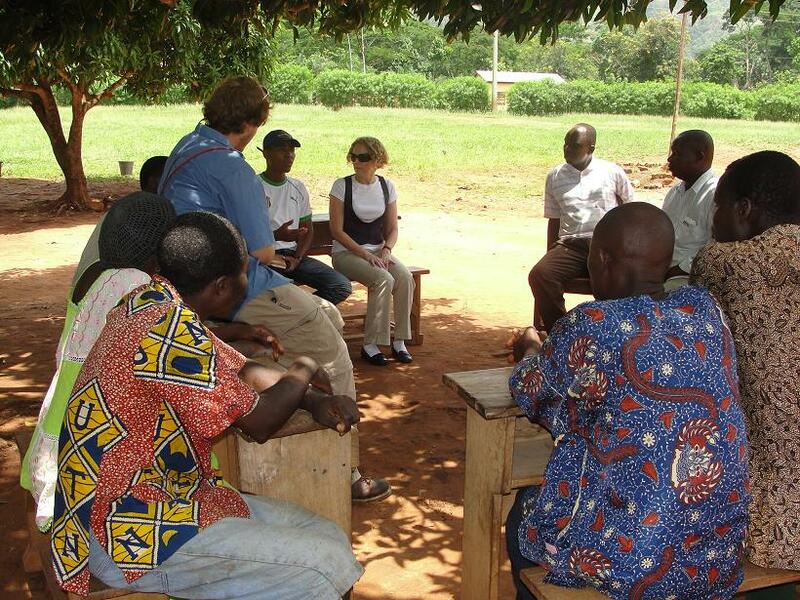 In 2009, I visited the town of Sodo, Togo to spend some time with school children and their village chief. Though the chief was a young man in his thirties, he wView Postas a concerned leader who strove to offer the children of Sodo a sound education in a world where there are few opportunities. 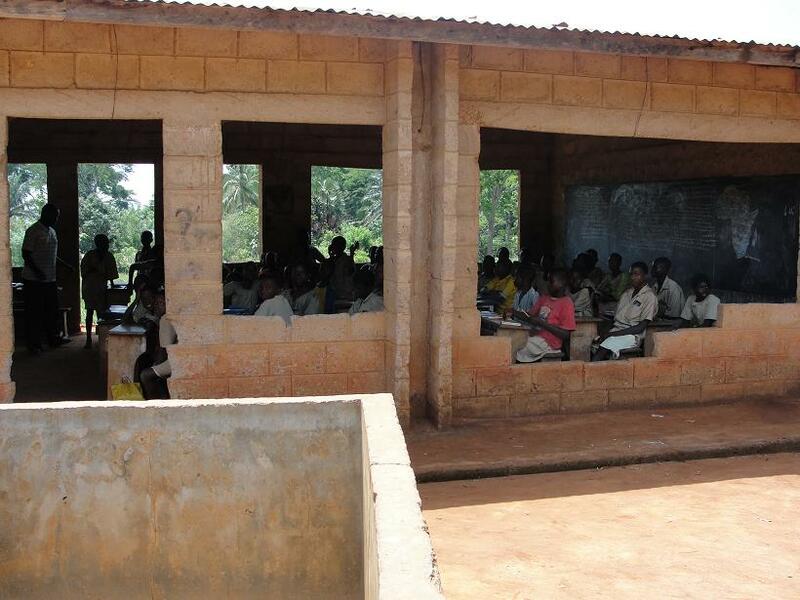 He spearheaded a project to make new desks and benches for the children. The carpenters were proud to show that the lumber had been purchased, and work had already begun. 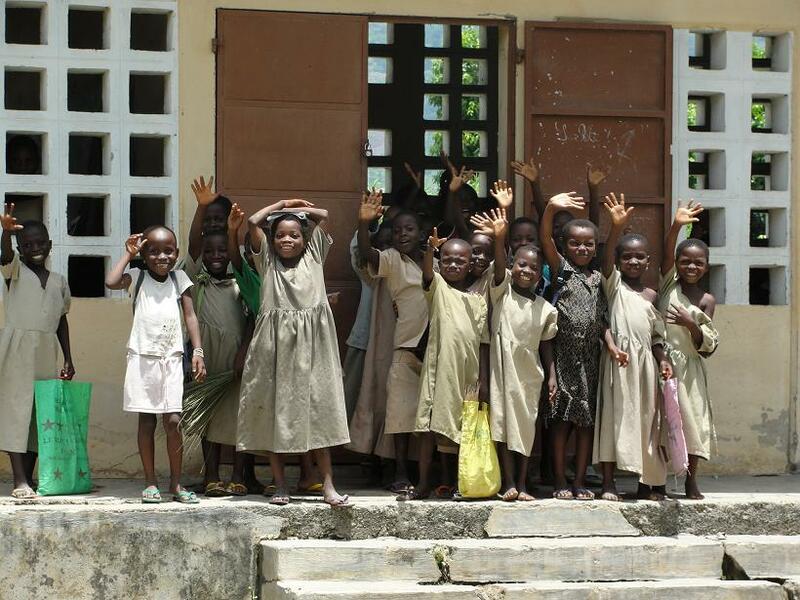 Their schools have no electricity, and sometimes no plumbing -which means that students must use an outhouse. The chalkboard is the teacher’s most advanced piece of equipment. Nevertheless, the children are happy just to have their picture taken and to share a few words with a visitor. I was honored to speak with the PTA, who are good parents – involved in their children’s education and doing what they can to foster a better life for future generations of Togo. The lucky students are those who attend class inside a building. 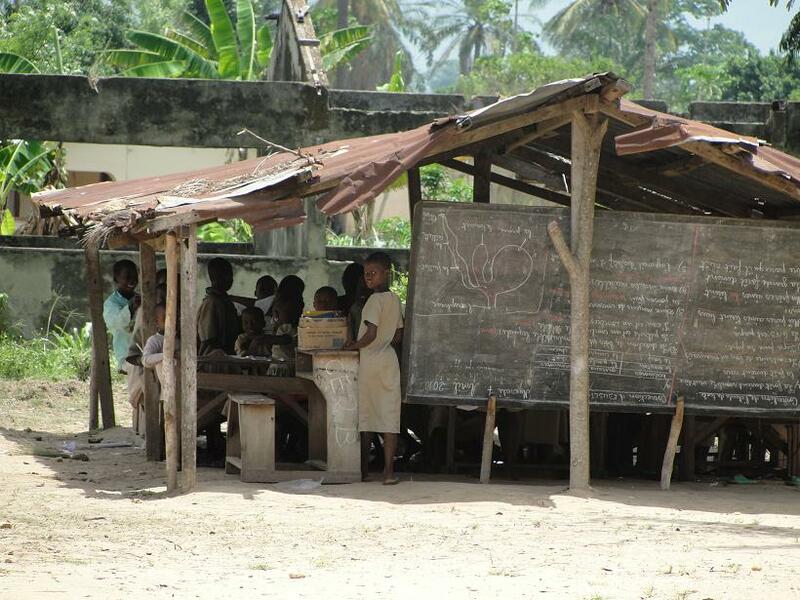 Others still attend class outside in ramshackle huts, like this one whose corrugated metal roof is now rusted and in need of replacement and is precariously perched on rough-hewn posts. 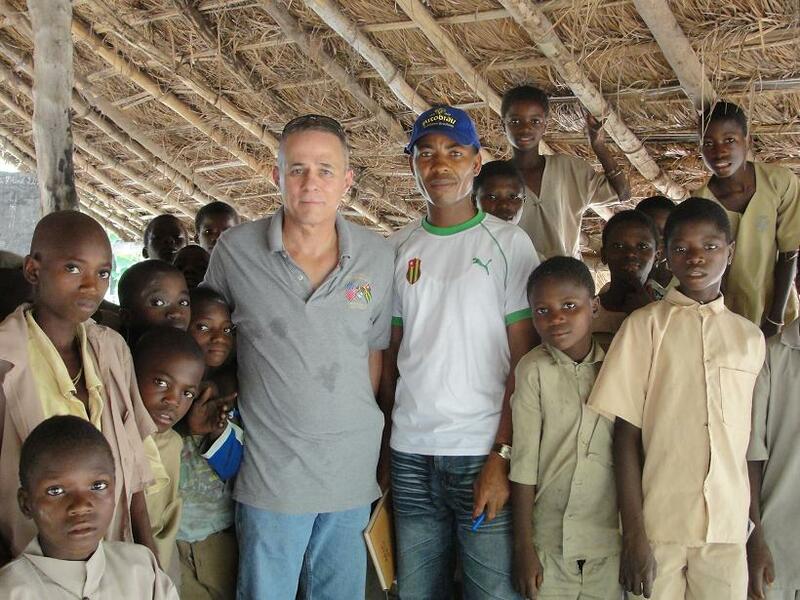 The students in this thatch-roofed hut crowded around Norm and the chief to have their picture taken. A funny thing about Togolese people is their fierce expressions. 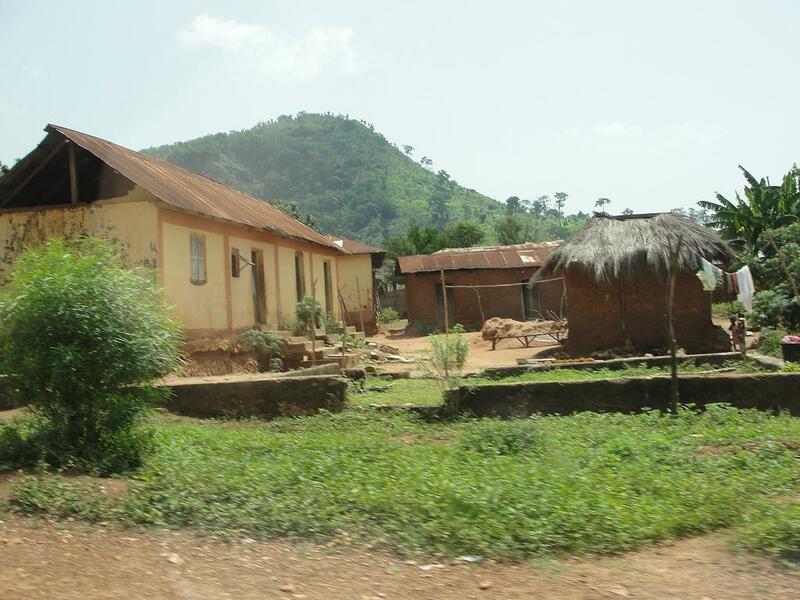 When I first arrived in Togo, I was taken aback by their serious countenance – they all stared at me with what appeared to be an intense dislike. It didn’t even seem to be curiousity – just malice. 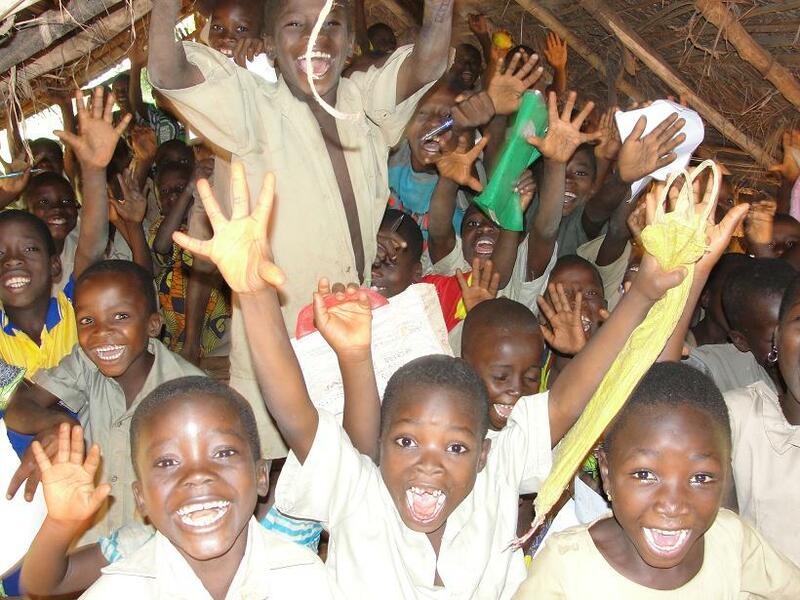 As soon as Norm and I smiled and waved at a Togolese person who was staring at us so grimly, this is what we would see – miles of smiles and waves of welcome. It was the strangest phenomenon, but uniquely Togo – one of my favorite memories of this strange land. 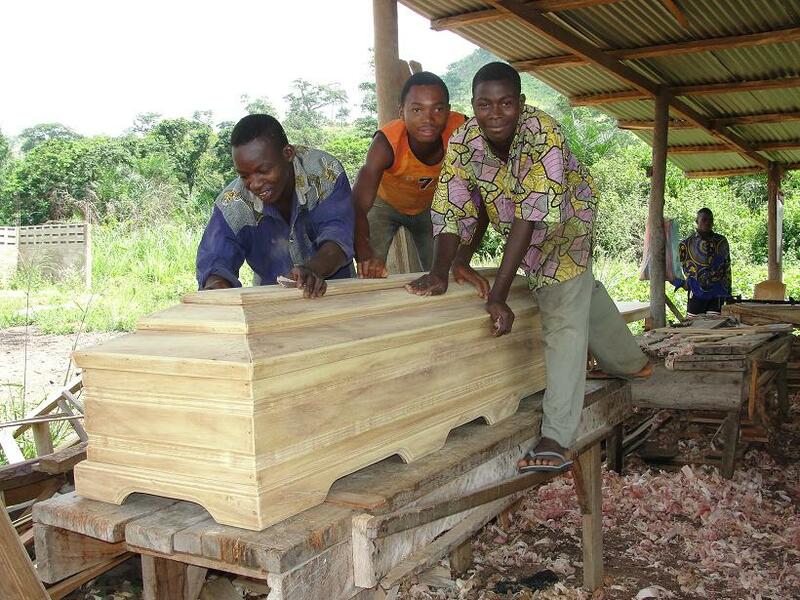 Grim faces belie the true spirit of the Togolese people. Their smiles reveal the levity in their souls. 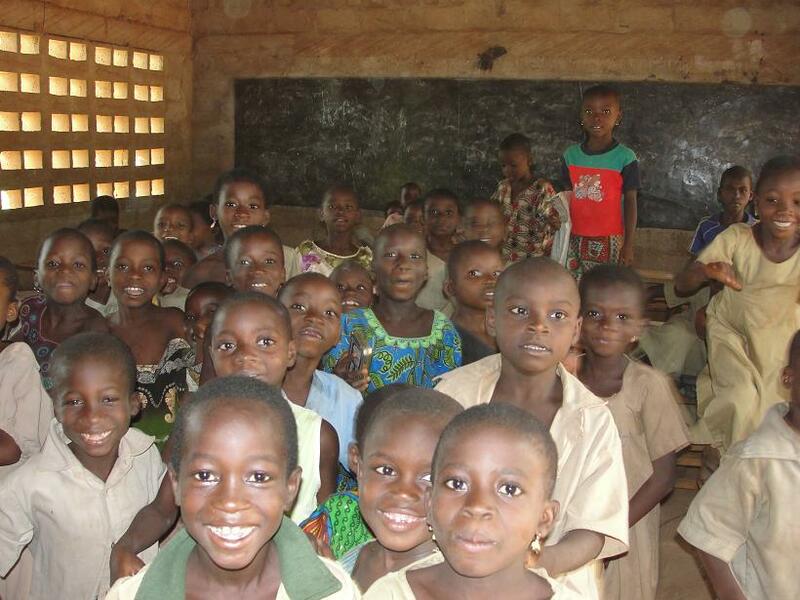 How little the average Togolese person has, but all of them are thankful for what they do have. They persevere. They value their children. They are still connected to the land and the truly important things in life. To have met them was a blessing.